It is actually good to outsource Web Design related activities to the best concern, since it not only saves time but also cost. Large-scale business or organizations are thus opting to outsource, so that they can concentrate on their main business. Selecting a good firm is not that easy since the firm you select should be a qualified one and it must bring the targeted results for your business. While outsourcing there are certain questions must be asked to that particular firm before the start of the process. 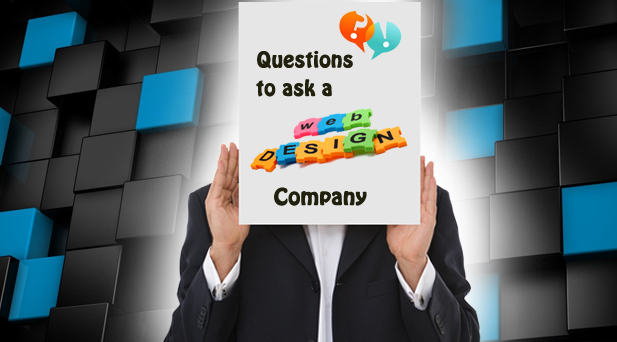 Here we have listed such type of questions that aids you to choose the best web designing firm for your business. How long will it take to complete the project and what is the cost for it ? The time and cost may vary in accordance with the type of the project. But it is not good if the project is going to take much time to complete. Will you provide me the wire-frames before the start of the project? Ask the firm for wire-frames (rough visual representation of your website). This gives an idea about the location of the elements that will be placed since these elements have got more impact on the business results. Will your design helps to achieve my business targets? You can inquire the firm for any published case studies. Published case studies is very important to shows their value. The value such as – increased rate of sales,reduced bounce rate,average order value etc. Will my design suits on all mobile phones? As you all know that today’s world is fully technological oriented. And we cannot see a person without mobile phone. Accessing internet via mobile phone is also increasing rapidly. So check with the firm whether their website design is responsive and best suits on all mobile phones and tablets. What about the CRM (Customer Relationship Management) system? Ask the firm whether they integrate the site into your CRM system. The maintenance of CRM consumes enormous amount of energy and resources. Is this is going to be handled by the firm then ensure whether they have properly planned and handled it with care. Will you take the responsibilities for content? When you get the answer “Yes” for this question – check for the quality of content they did with the previous project. Will you offer Seo ? Ask the firm whether they offer the seo or sem services. If so, ask for any proven records. Check for the SERP(Search Engine ranking Position)s.
How will you measure the result of your website? The result of your project is done by measuring the bounce rate, number of unique visitors, conversion percentage via Analytics tool. Have you got any record of projects previously you did with similar goal? En-quire the firm whether they have done the project similar to your business successfully. If so, ask them to provide some information about the project such as the challenges they faced, the solutions, how they handled, the results they measured etc. Also look for a wide range of designs and also select such a web designing company who say Yes to show you the designs since they would be flexible and design in accordance with your needs. Do you have skilled experienced professional team? If so, can I meet them? It is very important to inquire about the team force. Ask whether their team is in-house or else they contain any freelancers for it or a single person is wholly responsible for the project. The best solution for this question would be – look for a team of skilled professionals who works together.